The story of those who lived in one house, from the time it was built until now. David Olusoga follows the story from 1891 to 1945, through two World Wars and the Great Depression. 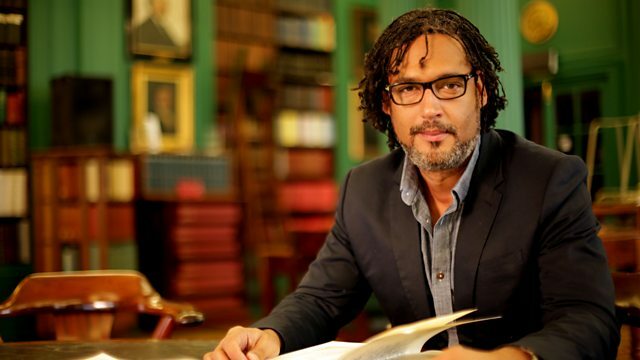 Historian David Olusoga follows the story of the house in Liverpool from 1891 to 1945, a turbulent 50-year period encompassing two World Wars and the Great Depression. He tracks the story of the Snewings, a large family of saddlers who lived in the house for over four decades, and follows their business through challenging times - death in the family, cut-throat competition, the First World War and the age of the motorcar. On the Snewings' death, the Great Depression takes hold and Liverpool's inner city housing begins to decline. David sees the house become a shabby lodging house rented out to low-income tenants. Amongst the multiple residents who share the house at the start of the Second World War, he discovers Jack Greenall - a docker keeping a secret from his employers, who works in one of the city's most dangerous environments during the height of the Liverpool Blitz. Finally, David uncovers the poignant story of Robert and Sarah Ann Duffy. Robert, son of a lowly cotton porter, is born in the slums. His wife Sarah Ann has had an unhappy childhood with her abusive mother. But the two meet and marry, and carve out a successful career in the tailoring business, eventually transcending the tragic circumstances of their pasts.